November has arrived and I can feel the chill in my bones. 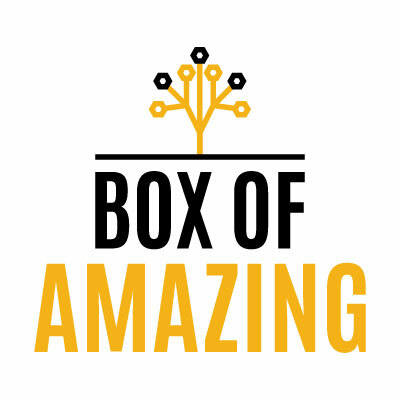 Thanks for your feedback on the new structure of Box of Amazing. If you are loving it, please share with your colleagues! "Scientists are hoping to hang the man-made moon above the city of Chengdu, the capital of China’s southwestern Sichuan province, according to a report in Chinese state media. The imitation celestial body — essentially an illuminated satellite — will bear a reflective coating to cast sunlight back to Earth, where it will supplement streetlights at night." "Walking around downtown Orlando, you might not notice the lightbulb-sized camera affixed to one of the traffic signal poles along the city’s palm tree–studded avenues. But it’s there, scanning all the same. If it sees you, the camera will instantly send a live video feed over to Amazon's facial “Rekognition” system, cross-referencing your face against persons of interest. It’s one of three IRIS cameras in the Orlando area whose video feeds are processed by a system that could someday flag potential criminal matches — for now, all the “persons of interest” are volunteers from the Orlando police — and among a growing number of facial recognition systems nationally. " "The year is 2038. After 18 months living and working on the surface of Mars, a crew of six explorers boards a deep-space transport rocket and leaves for Earth. No humans are staying behind, but work goes on without them: Autonomous robots will keep running a mining and chemical-synthesis plant they’d started years before this first crewed mission ever set foot on the planet. The plant produces water, oxygen, and rocket fuel using local resources, and it will methodically build up all the necessary supplies for the next Mars mission, set to arrive in another two years. "